Shin Joon Young (Kim Woo-bin) and No Eul (Bae Suzy) were a couple who were separated during their teenage years due to an ill-fated relationship, but later meet each other in adulthood. Shin Joon Young is now a top actor/singer while No Eul is a documentary producer. No Eul had a tough childhood; her father died in a hit-and-run prompting No Eul to quit school and make a living for her and her brother. Shin Joon Young, on the other hand, had his life planned out for him. His mother wanted him to become a prosecutor; to follow the footsteps of his estranged father, but an awful incident caused him to quit law school and become a singer/actor. The two reunite when No Eul is tasked to film Shin Joon Young's documentary. Joon Young initially gives No Eul a miserable time before finally agreeing to do the documentary and even plans to win her heart back. Throughout the drama I was still reconsidering whether to continue watching or stop. So as you’re reading this review, you know that I managed to finish it ;) What this drama did was wrapping up all the sad terms in kdramaland, and putting it in one drama. From the begining it broke my heart, and for that accomplishment I would give to Kim Woo Bins extraordinary acting skills. This story is tragic as hell. This is like Secret level melodrama. Here I was expecting light and fluffy, but within two episodes it already had two traumatic car accidents, one terminal illness, loan sharks, corrupt politicians, birth secrets, and star crossed love. This isn't at all what I thought it was going to be. I can’t put my finger on what it was that did it for me, but I know for sure what didn’t. Suzy. I just can’t take that idol-actress, and yes, I can’t call her an actress, because that wouldn’t be fair. 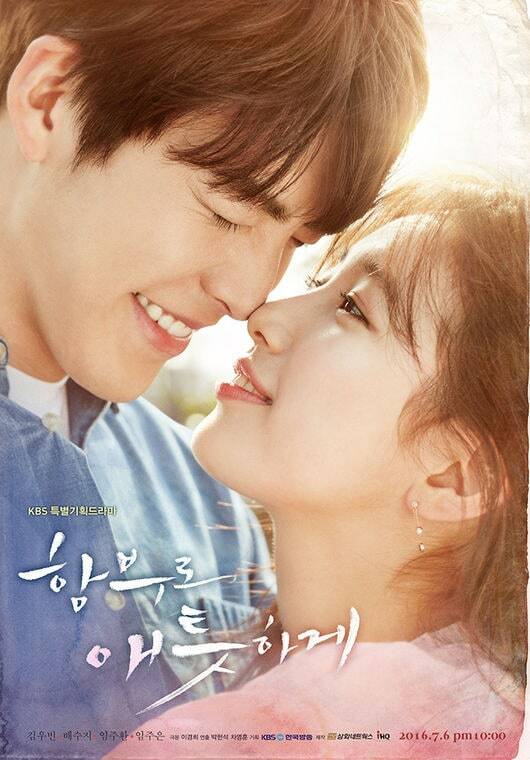 The directors knew who to pair her up with, because she’s toootally overshadowed by Kim Woo Bin when they together. All in all this drama is not one of the best out there, although its a must-watch for Kim Woo Bin fans.